Our Gold optimizer application specific line goes above and beyond any quality in the market right now. 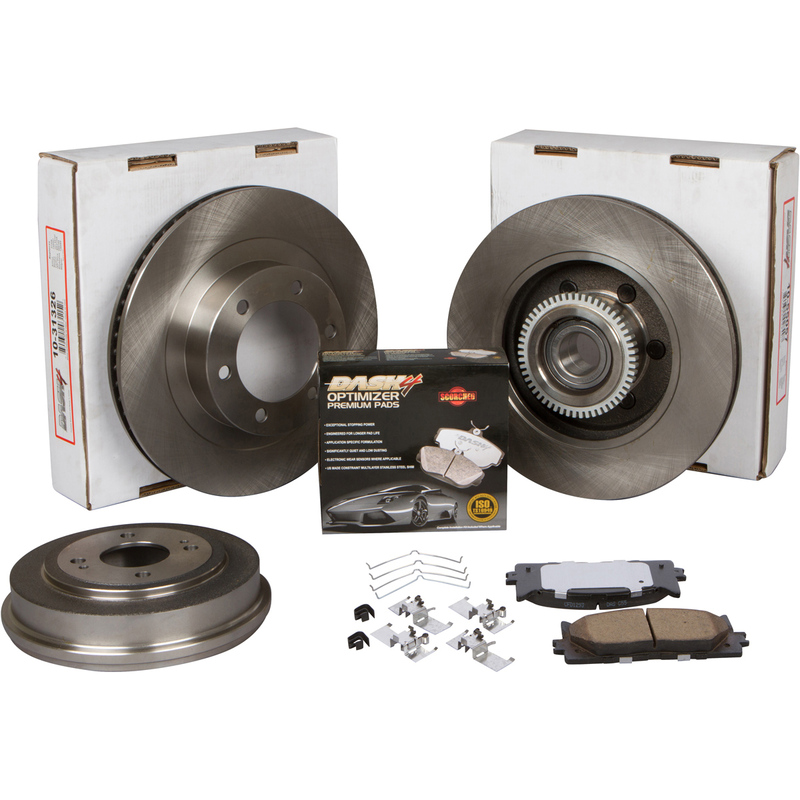 This line out performs all other levels by a distinct margin, setting these brakes at another tier of extreme braking performance. Dash4 Pads are manufactured using the same positive molding process utilized by Original Equipment Suppliers. The positive molding process uses an extreme amount of pressure to compress the friction material & bond it to the backing plate. 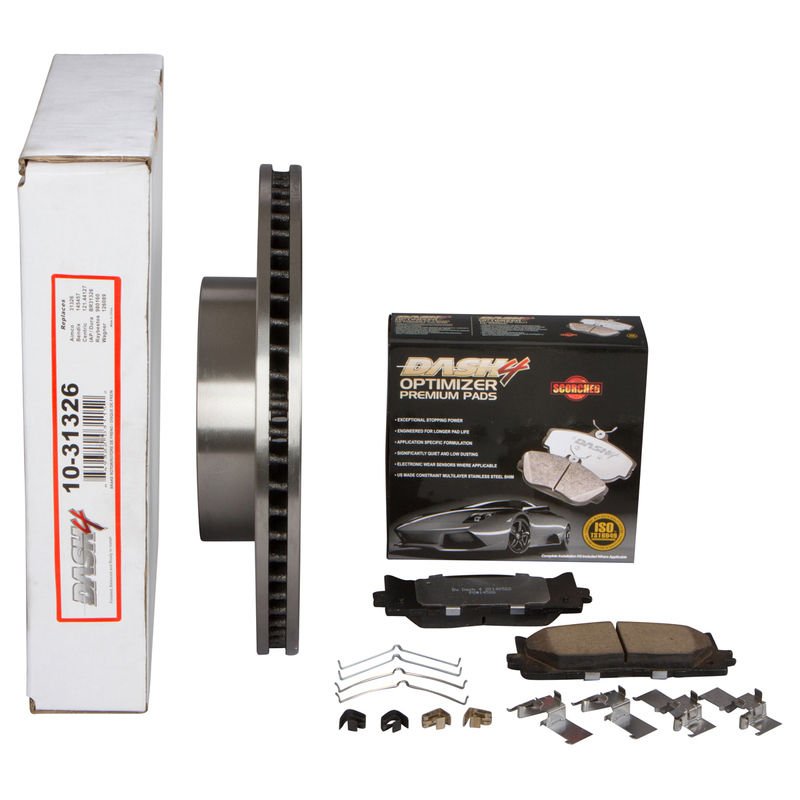 This post-cured process assures the consistent performance throughout the service life of the brake pad, while preventing rust & corrosion. All of our lines feature mechanical attachment of shims virtually eliminating noise & neutralizing pad vibration. Our pads are also scorched for an easy break in, as well as, forcing any adulteration out of the friction material, adding value & quality to our friction lines. 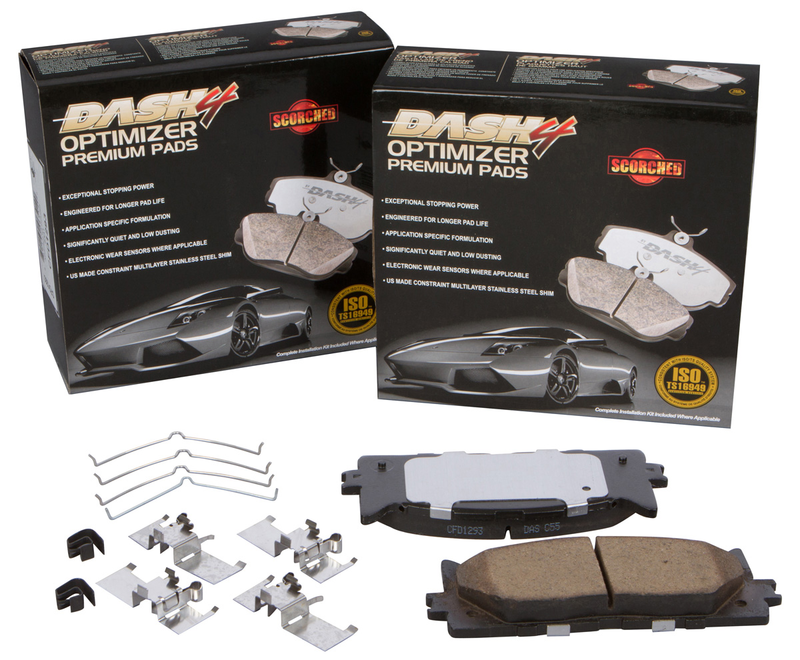 Dash4 material formulation adds reliability & quality to the brake pad enabling greater fade resistance, longer life, and most importantly a smooth ride with enhanced pedal feel. Our friction lines have always undergone Brake Squeal & vibration analysis, constant Dynameters performance testing, and durability assessments. Dash4 has enhanced premium engineering, resulting in the best fit for any application while meeting multiple/ different demands, from high performance driving to everyday comfort.